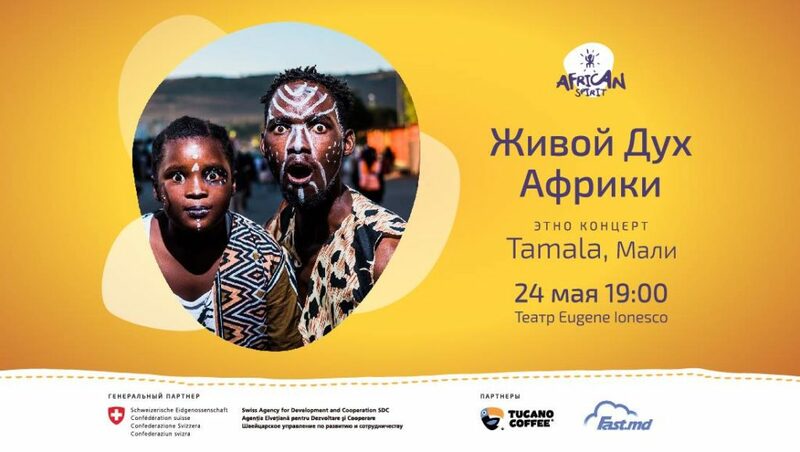 On May 24, at 19.00 in the “Eugene Ionesco” Theater, the most mysterious and energy-filled continent will open your heart for you – it will show how he sings, plays, dances – how it feels this World. And you will permeate the spirit of Africa. The main guest is “TAMALA” – a band from Mali (West Africa). These are 5 young talented musicians, for the first time going beyond the bounds of their native land with a musical mission. In their city, country, and in neighboring countries, they are well known and loved. Now they are ready to conquer Europe. And right now their spirit, understanding, and feeling – not yet wasted on hundreds of tours – we have the opportunity to feel and absorb. This is more than music – this is life, another, unusual and, perhaps, incomprehensible to us – but definitely provoking interest. 1 ticket – 190 mdl, 2 tickets – 300 mdl.